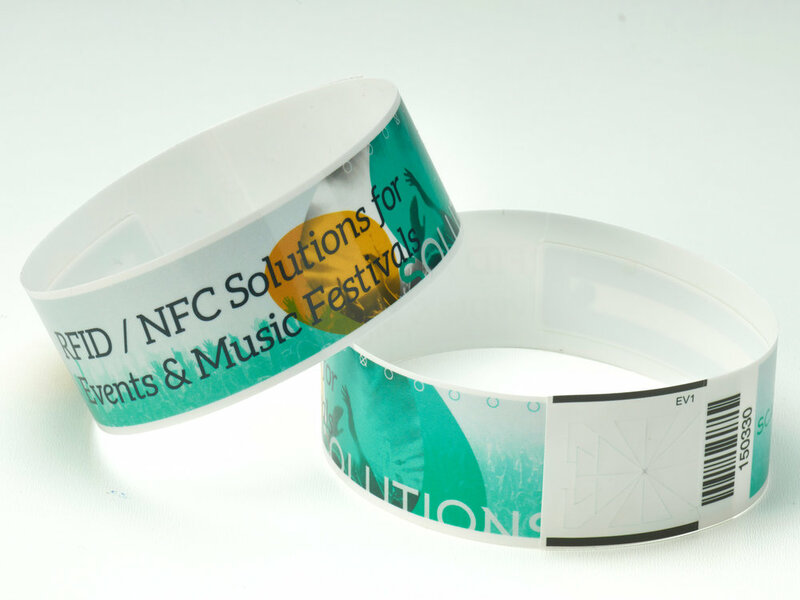 4id Solutions is a wholesale manufacturer of customized wristbands, labels, tags & RFID products across a range of industries such as medical, industrial, live music & entertainment, as well as inventory control. Our partnerships with the world’s leading manufacturers and suppliers of RFID inlays, semiconductors, papers, adhesive and printers, as well as our 15 years of manufacturing experience and investment in the latest RFID conversion, printing and encoding equipment allows us to work with a wide scope of materials and production methods to suit any customer needs. 4id Solutions primary goal is to enable RFID/IoT systems by creating elegant, premium quality, customized consumables for small to enterprise businesses with a strong focus on product and information accuracy, affordability and speed of delivery. Our label production capabilities range from blank, affordable, direct thermal paper labels; To laminated synthetic paper labels with high-quality digital print and multiple variable data fields encoded to an RFID chip. All 4id Solutions labels are made to order and are designed to each customers specific requirements. 4id Solutions is partnering with established print houses to provide a complete RFID label conversion service. We believe lending our years of knowledge and expertise in the RFID industry is the best way to propel the print industry to a quick and painless adoption of RFID technology, and provide a huge up-sell for all parties involved. The AirWing is 4id Solutions flagship UHF self-adhesive wristband. With its unique, patent-pending, winged design, the AirWing consistently achieves read ranges of 4+ meters. The AirWing wristband is ideal for large-scale deployments due to its affordability, keeping ongoing consumable costs low for RFID enabled hospitals, amusements parks, and attractions. The Hadlee wristband is 4id Solutions HF RFID and/or barcoded self-adhesive wristband. Loaded with customizable options, it is a great premium quality, low cost, single use wristband for any RFID or barcode enabled installment. The Slimline range of wristbands are multi-day event wristbands with various different saddle designs for any events needs. The soft dye sublimation strap is not only visually appealing but extremely comfortable to wear over extended periods of time. All Slimline wristbands are fixed with a secure locking mechanism to make sure the wristbands are completely non-transferable. For any inquiries regarding products or pricing, please use the form below and one of our friendly staff members will promptly assist you .